The main objective of the MCOP proposal is the definition, development and validation of an MC Open Platform including different levels APIs, Android-based Open Source implementation of a MCPTT client, a PS specific application and a live platform in which researchers, developers and other practitioners can test, evaluate and validate their MCPTT compliant innovative envisioned APPs. 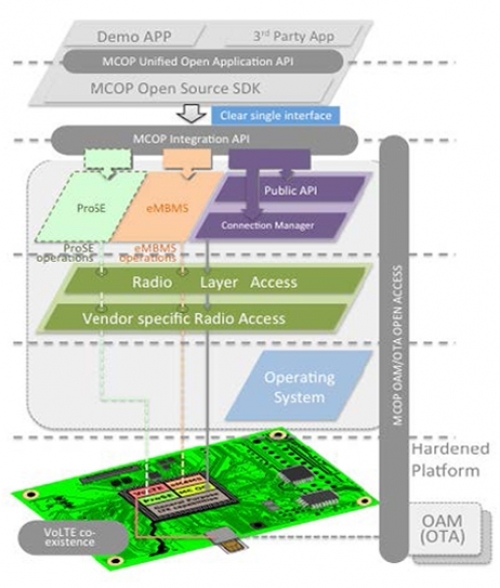 The MCOP Unified Open Application API provides a flexible interface for both MCPTT only clients and MCPTT capable multimedia apps to MCPTT communication primitives. The MCOP Open Source SDK will fully instantiate the MCOP Unified Open Application API by implementing 3GPP Rel’13 suite of protocols. 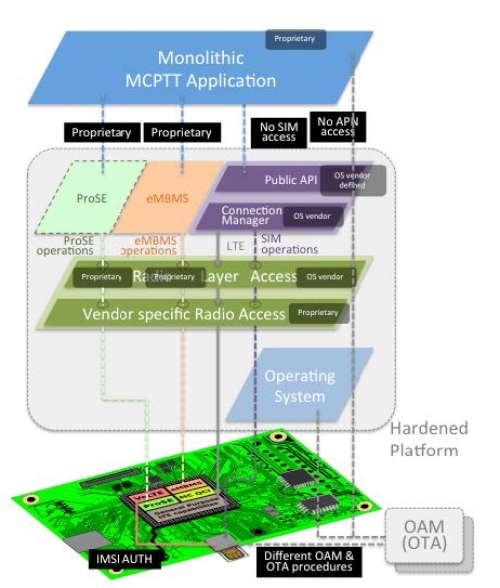 MCOP Integration API together with vendor and target technology-specific plugins will ensure full MC-grade and future-proof capabilities to the MCOP apps by supporting eMBMS and low level LTE operations (while paving the way for future ProSE capabilities). MCOP OAM/OTA open access interface will allow a simple and multivendor and multi-technology interface for MCPTT UE provisioning and configuring.